Clancy DuBos is a political analyst at WWL-TV in New Orleans, LA, specializing in local, state and national politics. DuBos is the political editor and columnist at Gambit, which publishes a weekly newspaper and bestofneworleans.com. DuBos served as chairman and co-owner (with his wife Margo DuBos) of Gambit Communications, Inc. from 1991 to 2018. Currently, DuBos writes the weekly politics column for Gambit, Louisiana’s largest weekly newspaper, and is also the on-air political commentator for WWL-TV Channel 4's Eyewitness News. He provides commentary and analysis on election nights and for political and governmental stories on air and online. He also delivers a weekly commentary on Eyewitness News each Tuesday at 6 p.m.
DuBos is also a licensed attorney in Louisiana. He began a civil law practice after graduating from Loyola Law School in 1993, taking time out to clerk for Chief Justice Pascal Calogero of the Louisiana Supreme Court in 1994. Clancy became Gambit's first and only political columnist in December 1981. 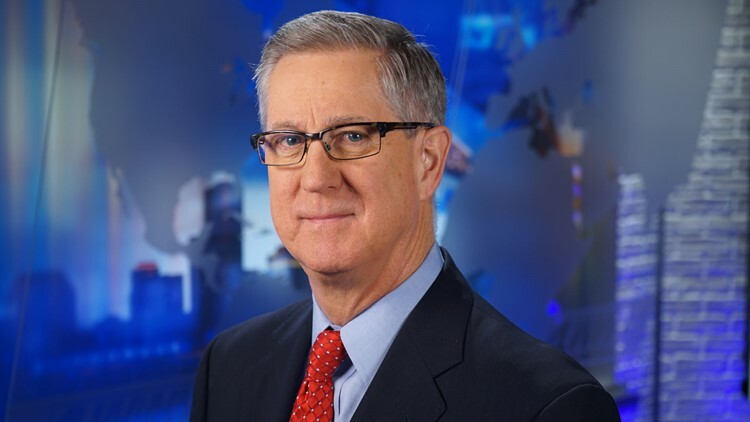 Prior to joining WWL-TV, he was the on-air political reporter and analyst for WDSU-TV in New Orleans for nearly 10 years from December 1981 through May 1991, then at WVUE-TV through August 2007 before joining WWL-TV as the station's on-air political analyst. As a journalist, he has earned awards from the Press Club of New Orleans (including its Lifetime Achievement Award in 2018), the Louisiana Press Association, the Association of Alternative Newsweeklies and the Associated Press Association of Louisiana and Mississippi. He also has appeared on numerous network radio and television talk shows, including "Washington Week in Review," NPR, "The Today Show," "Dateline NBC" and many appearances on local radio talk shows. Clancy and Margo were honored in 2008 with the "A.I. Botnick Torch of Liberty Award," the highest honor bestowed by the South-Central Region of the Anti-Defamation League. Clancy was named UNO's "Homer Hitt Distinguished Alumnus of the Year" in 2003. In 2012, he was named one of "Ten Outstanding Persons" by Family Services of New Orleans and "Alumnus of the Year" by Holy Cross School. Clancy was an original member of the Board of Directors of KIDsmART, a non-profit arts education organization serving inner-city youth in New Orleans. He served for nine years as a board member of the New Orleans Metropolitan Convention and Visitors Bureau, and he served for 15 years on the board of directors of Holy Cross School, including a two-year stint as chairman of the board during and after Hurricane Katrina. He currently serves on the Visiting Committee of Loyola Law School. A native of New Orleans, Clancy is a 1972 graduate of Holy Cross High School, the University of New Orleans (B.A. History, 1976) and Loyola University School of Law (J.D., 1993). He and Margo have two sons. Contact Clancy DuBos at clancy@gambitweekly.com and follow Clancy DuBos at @ClancyGambit (Twitter).